﻿Alexandra Kurland has been training horses and teaching since the mid-1980s. 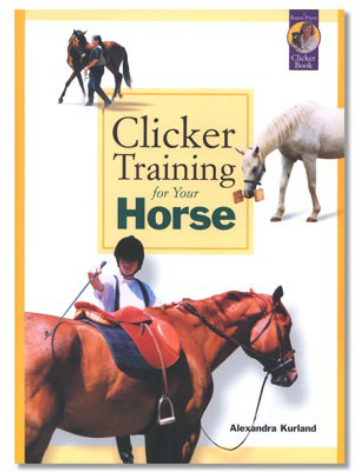 Her first book, Clicker Training for Your Horse, is considered to be the very best introduction to clicker training horses. Packed with fifteen years of teaching and riding experience, Clicker Training for Your Horse is a comprehensive guide to training, problem-solving, riding, and clicker training. Designed to give horse owners an overall roadmap, Clicker Training for Your Horse provides everything you need to get started with the clicker. With this guide, you are on your way to becoming your own trainer and solving complex, real-world problems. The result? A safe, well-mannered horse that is a joy to be around.